Reissue, limited numbered edition 1000 copies 180gr audiophile red vinyl includes insert. 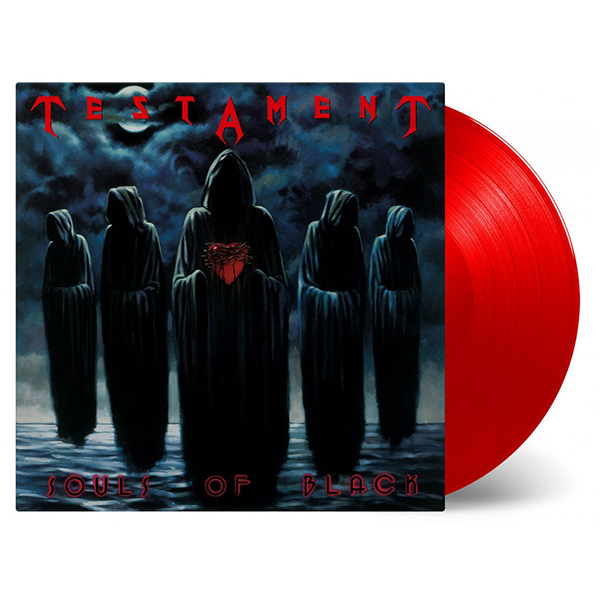 Souls Of Black is the fourth studio album by American thrash metal band Testament. The album was released in 1990. It preceded several changes in style to rather diverse styles of metal, including the traditional heavy metal sound heard in its succeeding album, The Ritual.